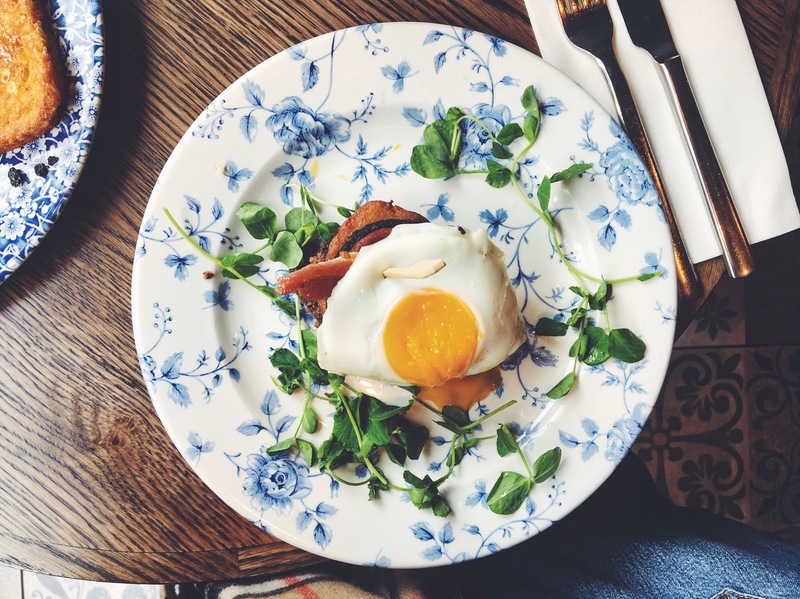 Brunch is the best, full stop. Mum and I love going for brunch and I am always looking for somewhere new to go, as we wanted to head to the charity shops in Morningside I thought we should try out Montpelier’s. It’s an elegant looking restaurant with a European vibe on the outside and delicate tiled floors on the inside. I didn’t want to go for the usual (eggs benedict) I was aiming for something a little more adventurous, and the selection on the menu allowed this. 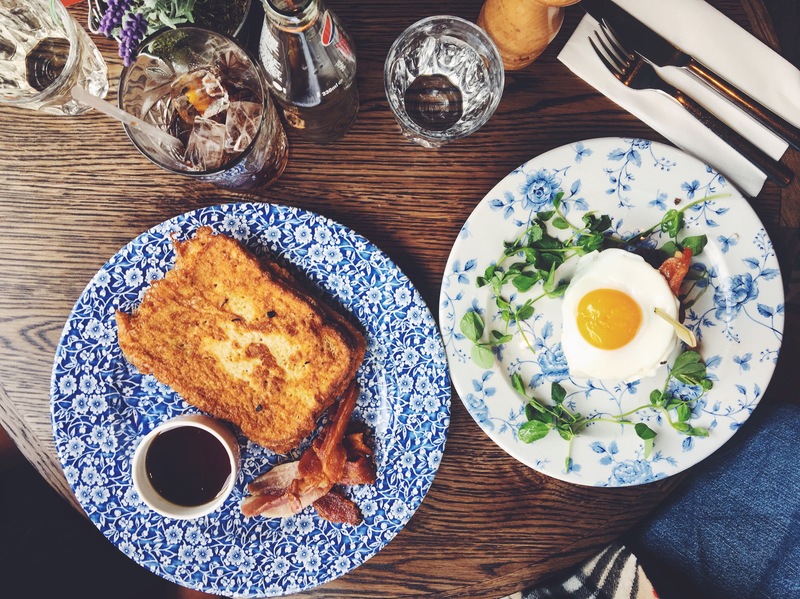 From full breakfasts and breakfast butties to pancakes and French toast, there is a little something for everyone on this menu. 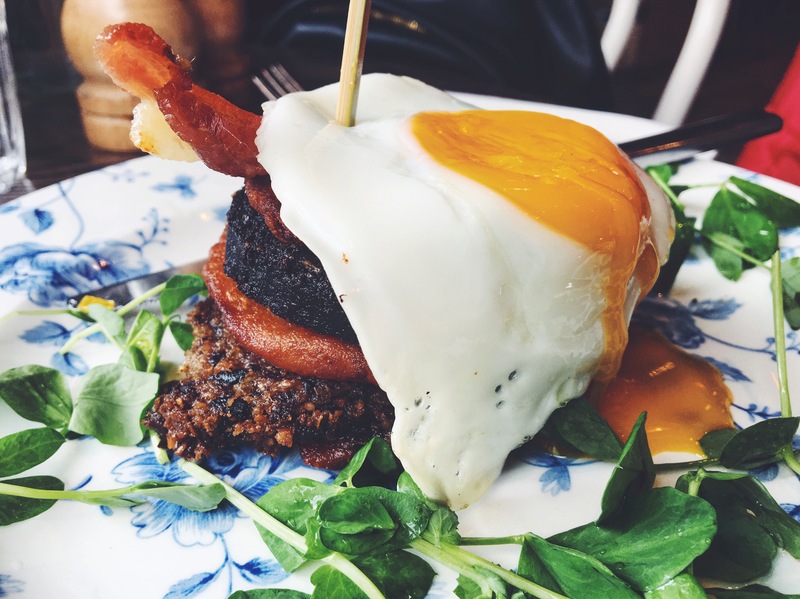 Mum went for the French toast with bacon and maple syrup and I went for the potato stack which included black pudding, haggis, bacon, potato scone and a fried egg. Mums looked terrible but she said it tasted great, so great in fact that Mum went straight back to Montpelier’s the week after with her husband. Mine looked stunning, it’s a hard job making a cooked breakfast look pretty and they certainly managed it. Not too big and not too small this was the perfect amount for brunch and it wasn’t greasy in the slightest. My egg was cooked perfectly as soon as you pierced the yolk it was bright yellow and runny. Altogether a delicious stack of breakfast food. Have you been to Montpeliers? What did you think? Recommend: A people pleaser, have you got that awkard friend or family member that are super fussy? Take them here! Previous Previous post: Have You Met…. The Little Things?